USA köper mer TROPHY skyddssystem för sina tanks från Israel | Vad händer i Mellanöstern idag? The US military awarded a nearly $80 million contract for the purchase of an Israeli-developed missile defense system to protect tanks and armored personnel carriers, after reaching a similar $200 million deal this past summer, the Rafael Advanced Defense Systems contractor announced Wednesday. The United States is expected to pay another $120 million for more defense systems as part of the agreement, pending final approvals, bringing the total value of the two contracts to approximately $400 million, according to a spokesperson for the weapons manufacturer. The systems, which block incoming anti-tank missiles and rockets, will be supplied to the US Army by the American defense contractor Leonardo DRS, Inc., which partnered with Rafael to manufacture them. The Trophy, known in Hebrew as Me’il Ruah, or “Windbreaker,” is an active defense system manufactured by Rafael that is designed to protect tanks and other armored vehicles from missiles and rockets. The system also pinpoints the source of the attack, allowing the soldiers inside the tank or APC to return fire more quickly. The Trophy’s purchased as part of the agreement will be installed on the US military’s Bradley Fighting Vehicle. The defense system was developed by Rafael and the Israel Aircraft Industries’ Elta Group and was declared operational in 2009. In the initial stage of the contract, Leonardo DRS will provide the Trophy system to the US Army and Marine Corps in exchange for $79.6 million. The additional $120 million section of the approximately $200 million agreement requires additional approvals, a Rafael spokesperson said. This is in addition to a deal made this past summer, under which Leonardo DRS agreed to supply the system and accompanying parts to the US Army for $193 million. 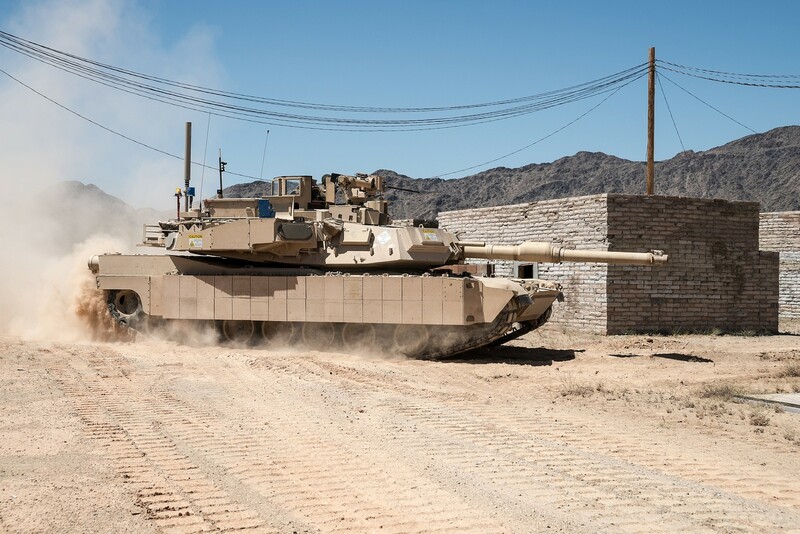 “Leonardo DRS is proud of the confidence shown by the Army in deciding to field Trophy to even more US combat brigades,” said Aaron Hankins, a vice president at the defense contractor. In 2016, the US military announced that it was planning to purchase the Trophy system to protect American tanks until the US defense contractor Raytheon could produce its own active defense system. In 2017, the US Army said it would be fielding tanks with the Trophy system by 2020. At a conference in 2017, representatives from the US military said they were impressed by the system’s capabilities from live-fire testing on an Abrams tank equipped with the Trophy. “I tried to kill the Abrams tank 48 times and failed,” said US Army Col. Glenn Dean at a defense expo in 2017, according to the Military.com news site. The system saw extensive real-world use in the 2014 Gaza war. Though many sustained damage, no tanks were destroyed in the fighting. Det här inlägget postades i Israel, USA. Bokmärk permalänken.